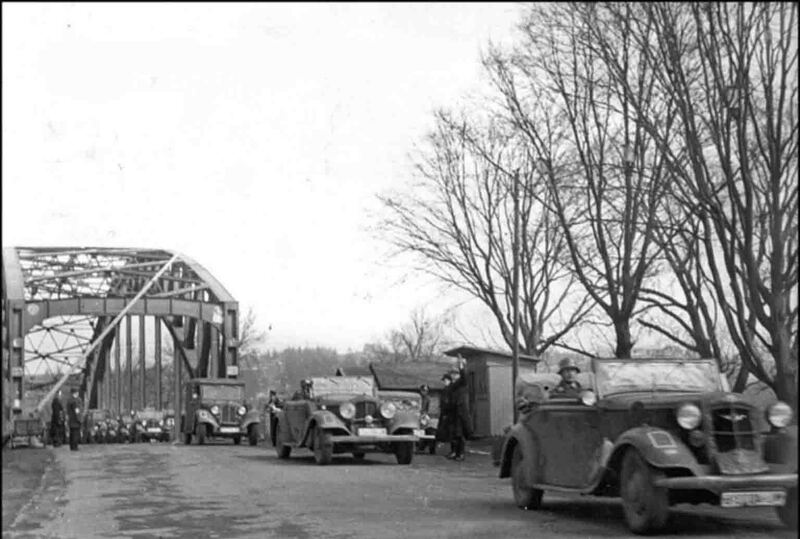 The bridge over the river Odra (Oder), along which the German Wehrmacht enter the Czech city of Ostrava on March 15, 1939. Now it is the street of Hłuszynska in Ostrava. March 15, 1939 President of Czechoslovakia Emil Hácha and Foreign Minister František Chvalkovský in Berlin signed an act on the establishment of the German protectorate over Bohemia and Moravia. Czechoslovakia finally lost its independence.